The perfect way to brand up a golf course. 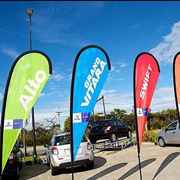 The Corporate Golf Day signage pack provides branding at all parts of the golf course, at the tee, at the pin and in the hole! 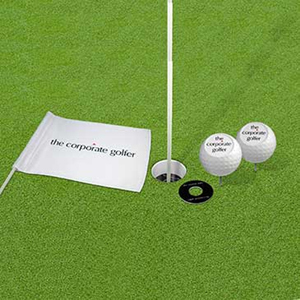 This package includes: 18 x white tube flags (d) 36 x personalised dimple tee markers (ds) (2 per hole) 18 x message discs (hole inserts) (ds) Decoration includes full colour logo on each item and allows for different logos on each hole to cater for different sponsors. Decoration area and sizes: refer to artwork templatefull colour digital dyesublimation on flags & digital sticker on tee markers and message disc. Lead Time: 10 days. Price Include one colour one location imprint. 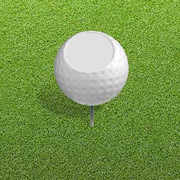 The Links Pin flags have been designed to withstand extreme weather conditions for longer. 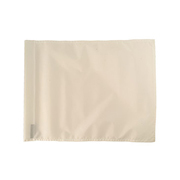 These flags are primarily used for permanant use at a golf course as they are made from a heavier fabric with a stitched in tube. Decoration method: digital dyesublimation on white flags or screen printing on coloured flags. Lead Time: 10 days. 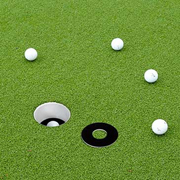 Give your client oncourse branding with our personalised dimple tee markers. Made from a strong polymer with moulded in spike, colour fast. Recessed area to insert customised logo. Decoration method: digital vinyl laminated sticker includes fully custom digital sticker Lead Time: 10 days. Tee markers are a great way to give a sponsor presence on a golf course. 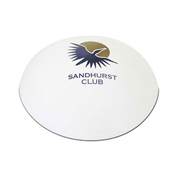 The Low profile tee markers are durable, made from solid propylene, Colour fast, UV Stable, float on water. Lead Time: 10 days. Sand Buckets are a must for all golf courses. 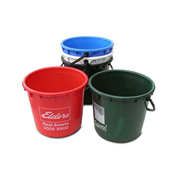 1.2ltr plastic bucket, withy hardened plastic handle Lead Time: 10 days. Every golf day hosts on course competitions such as Nearest the Pin and Longest Drive. 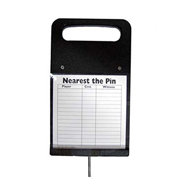 These markers are manufactured from recycled plastic with high impact perspex cover, weather resistant, stainless Steel spike, cards can be used for both NTP or Longest Drive. Lead Time: 10 days.